About last night: Univision put out a statement last night that Verizon pulled its signal from its FiOS and mobile platforms "entirely without warning," leaving mostly East Coast consumers without access to programming. Univision says it's "deeply concerned," especially "in light of recent natural disasters and current events impacting the Hispanic community." Verizon says Univision is charging too much for its waning viewership. It's the latest example of what happens when a Pay-TV provider and a cable network can't agree on a new contract. 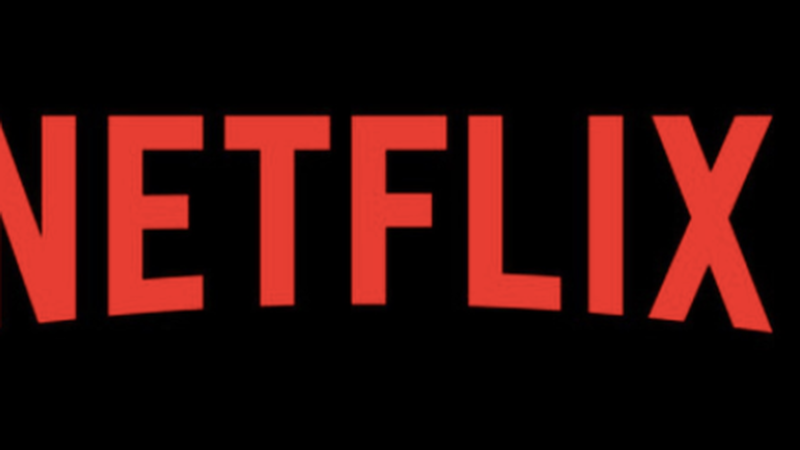 Netflix blew past user growth expectations, reporting Monday that it added 5.3 million new subscribers last quarter, upwards of 1 million more than expected. In total, it added 850,000 new U.S. subscribers and 4.45 million new international subscribers. Netflix predicts that it will add 6.3 million new subscribers next quarter, which would bring its total to 111.2 million paid subscribers globally. The company also continued to beat expectations on revenue, although profit came in slightly lower than anticipated. Investors are thrilled: Netflix stock reached an all-time high in after-hours trading Monday after the network proved it could continue strong user growth internationally. Its U.S. subscription growth has been slowing, but that's because its user base is pretty saturated in North America. Why it matters: Hitting revenue estimates is a big win for Netflix, given that it poured a ton of money into programming investments (more below), as opposed to focusing on profit. It's also another reminder for Pay-TV providers and TV networks that the traditional cable bundle can't compete with the power of on-demand. "It's increasingly clear that the price/value of the legacy video bundle is unsustainable," says BTIG media analyst Rich Greenfield. "Netflix is growing subscriptions at higher prices, driving more money to spend on content — a virtuous circle." What's next? Netflix's chief content officer Ted Sarandos on Monday's earnings said the tech giant is inching closer towards producing daily new, original content and will invest a lot more in original films: "We plan on (releasing) about 80 (original films) coming up next year and they range anywhere from the million-dollar Sundance hit, all the way up to something on a much larger scale." 2. Gut check: how Netflix laps its rivals via "a virtuous circle"
Netflix spends more on content than nearly every legacy network: Netflix announced its earnings just days after revealing it would raise its subscription fees by $1 to $11 monthly, likely to subsidize increased content costs. Users spend more time on Netflix than its top 3 streaming rivals combined: Netflix accounts for nearly half of the internet streaming time spent by adults in the U.S., according to Nielsen data. The traditional TV industry has been slow to adopt digital measurement and advertising techniques that could allow it to compete with Netflix and its ilk. On the measurement side: The TV industry has struggled with measuring the effectiveness of commercials in actually getting people to buy things. Now, a group of TV insiders are trying to solve the problem with a project they've code-named "Thor." Everyone's mostly on board: On Monday, the Video Advertising Bureau, which represents the majority of premium TV producers, said its members met Friday to discuss the new model and it was "generally well received." This, they say, represents "an intensified commitment from the TV industry to adopt sophisticated data practices for its advertisers." Why it matters: As Brian Steinberg, who first broke the story for Variety, points out: "Despite the rise of mobile tablets and subscription video on demand, most TV networks continue to derive the bulk of their ad revenue based on the number of linear viewers their TV shows attract." And those numbers are continuing to slide. Just a fraction of TV ads today are bought digitally, even though the technology is there to serve digital ads to more than half of Americans. While over-the-top ad revenue estimates vary, eMarketer estimates that addressable and programmatic TV advertising is set to bring in less than $5 billion in revenue this year, less than 10% of the $70+ billion TV ad market. Why networks need to move quickly: For decades, TV has had a fixed amount of ad inventory (there's only 24 hours of programming in a day), but on-demand programming will create an infinite demand for ads, shifting the power balance from the seller to the buyer — an economics problem similar to what the newspaper industry faced with the migration to digital. It's taking some time to get everyone on board: Addressable TV buying is typically done by targeting audience demographics from cable or satellite providers via set-top boxes. Cable and satellite operators, as well as content providers, don't always have an incentive to deliver these type of ads, because they are highly targeted and are often served to fewer people, which can make them less lucrative. President Trump continues to publicly belittle big media organizations as "fake news," but in Washington, his administration's moves are a boon to big media companies. Telecom and technology companies are being deregulated while smaller media companies worry about their ability to survive. Why it matters: On the campaign trail, populist candidate Trump vowed to "break up the new media conglomerate oligopolies" and to shut down the biggest media deal of the year. But, as President Trump, his administration has actually encouraged consolidation as part of its deregulatory blitz. The number of announced media deals rose under the new administration, per PwC, with both the first and second quarter eclipsing the final year of the Obama administration in deal volume — as well as much of 2015. While analysts say that changes in viewing habits are driving consolidation in the media industry, they also say that's being helped along by the administration's deregulatory stance. Google and Facebook are growing bigger than ever: Trump told Axios earlier this year that Facebook's dominance didn't concern him, because the platform enables him to communicate directly with the American people. From regulators to Republican lawmakers, there has been little appetite to take on the companies beyond mandating more transparency for political ads — something that's grounded in national security concerns, not antitrust doctrine. Read more: David McCabe and I have more on this in the Axios stream. Snap and NBCUniversal are announcing a new joint venture today to develop and produce Shows for Snapchat, with a big focus on scripted shows. New creative hires: Hollywood heavyweights Mark and Jay Duplass will be the joint venture's first partners for developing and producing scripted shows, through their creative shop Donut. Lauren Anderson, currently SVP comedy development and programming at NBC Entertainment, has been named chief content officer of the venture. Why it matters: Scripted shows are the next frontier in Snapchat's original mobile content strategy, which to date has been successful. Snapchat has landed dozens of original partners to create exclusive, mobile content, which differs from its rival Facebook's strategy to land exclusive, over-the-top TV content deals. Note: Comcast's NBC is an investor in Axios and Andy Lack, chairman of NBC News and MSNBC, is a member of the Axios board. Teens overwhelming prefer Snapchat to any other social media platform, according to Piper Jaffray's 34th semi-annual Teens research survey. 47% of teens indicated that Snapchat is their favorite social platform, while only 24% of teens indicated Instagram was their favorite platform. Why it matters: Investors were initially bearish on Snapchat after Instagram launched a rival "Stories" feature, which put a dent in Snap's user growth. But now Snapchat is proving that its focus on engagement over scale can lead to more opportunities for advertisers. A recent analysis by MarketingLand shows that advertisers have more opportunities to reach 13- to 17-year-olds with ads on Snapchat than they do on rival properties, like Facebook or Instagram. One philosophical thing: Snapchat executives tells Axios they are focused on connecting people with their closest personal contacts. Facebook COO Sheryl Sandberg told Axios' Mike Allen last week that their strategy is the exact opposite. Facebook connects people to their "weak ties," or people they aren't close to, Sandberg said. Facebook acquired tbh Monday, a mobile app for making polls and sending compliments to other users, according to the app maker's website. The app will continue to operate independently, though the team will move to Facebook's headquarters in Menlo Park, Axios' Kia Kokalitcheva reports. Why it matters: Given the app's quick rise in popularity among teens, it's not surprising that Facebook quickly wrote a check to the startup and snapped up its app. Facebook's obsession with capturing the eyeballs of teens and young adults has been well documented (a few years ago, it offered to buy Snapchat for $3 billion). Reminder, Facebook already owns three of the top 10 smartphone apps in the U.S. (Facebook, Facebook Messenger and Instagram). National Geographic is one of the top publishers across a number of social media platforms. Collectively, it's followed by 350 million people on all platforms, and experiences roughly 6.5 billion content engagements each month. Per Shareablee, National Geographic is the most engaged with brand on social media. How they do it: "A big focus of ours has really been to turn this 130-year-old brand that's known for reverence into something relevant on social media today," says Jonathan Hunt, Nat Geo's SVP of audience development and digital strategy. "It's really leaning into the fact that our DNA is in immersive visual storytelling and putting things in platform intentional formats. We do this by scrutinizing audience data." Their secret sauce: "Every idea, every piece of IP should be a source for all our channels to pull from," says Hunt. "How do we squeeze as much value out of one original video and turn it into multiple content experiences that feel tailor-made for the audiences across our biggest social channels? With 130 years of IP to draw from; the possibilities are infinite."